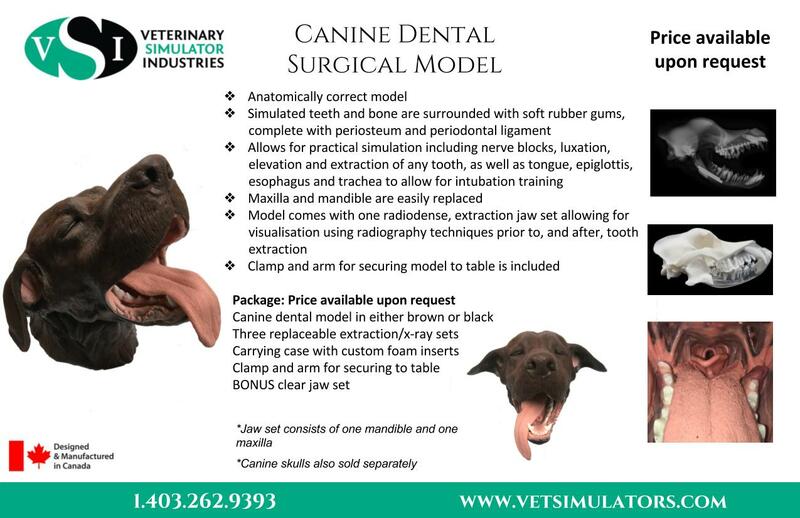 Check out our Canine Dental Surgical Simulator in action! Our Canine Dental prototype now has a tongue! Surgical Canine Dental Model PrototypeThis prototype Surgical Canine Dental Model features replaceable maxilla and mandible; teeth are set in simulated bone with soft, rubber gums complete with periodontal ligament. The model will allow for realistic simulation of many dental procedures including extractions. It will also be able to be used as an intubation model once the development of the tongue / epiglottis component is complete. We are looking to have the model on the market later this year.